I recently compiled a list of all of the places in the area that I'd like to visit either for brunch, cake, lunch or dinner. It currently totals 49 and is growing every day as I discover more places that I'd like to try and amazing looking places open. The North East is a food lover's haven. Today I found myself with no plans, with Simon working all weekend I was a little tempted to sit indoors all day watching some trashy TV but instead decided to venture into Newcastle to try one of the places on my list for lunch. It was a typical Winter's day (miserable and wet) so naturally I felt a little fed up and was starving hungry so there was only one thing that could satisfy me. A burger. Now, as I'm sure many of you appreciate, it's January and therefore I'm trying to be careful about what I eat whilst trying to shift the extra Christmas lbs - a burger is probably the last thing I should be putting into my body right? 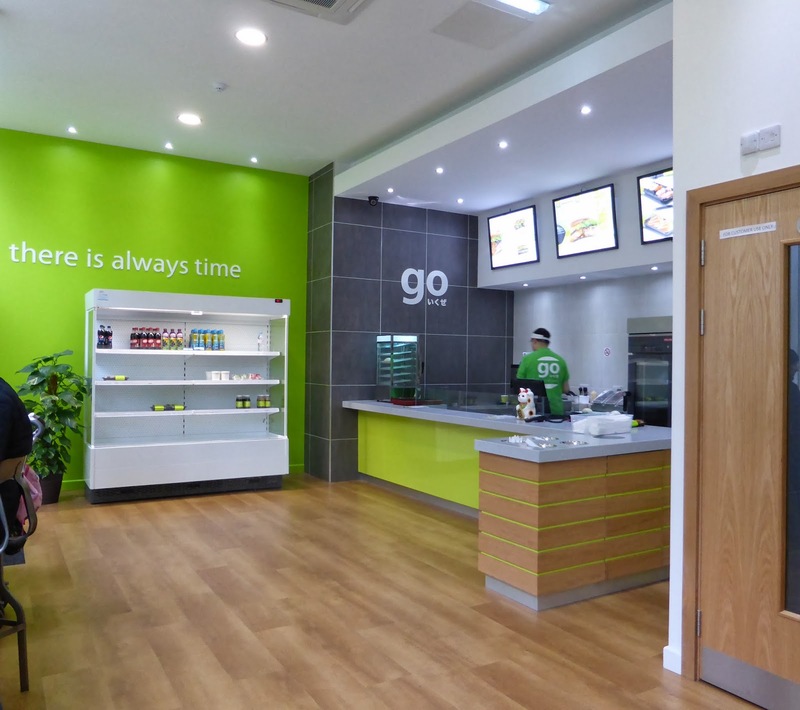 Step forward Go, a new fast food restaurant in Newcastle which puts health, quality and good customer service above all else. Now I don't know about all of you, but on the odd occasion that I find myself in a fast food restaurant indulging in a burger I'm often left feeling rather greasy, bloated and then half an hour later I'm hungry again. 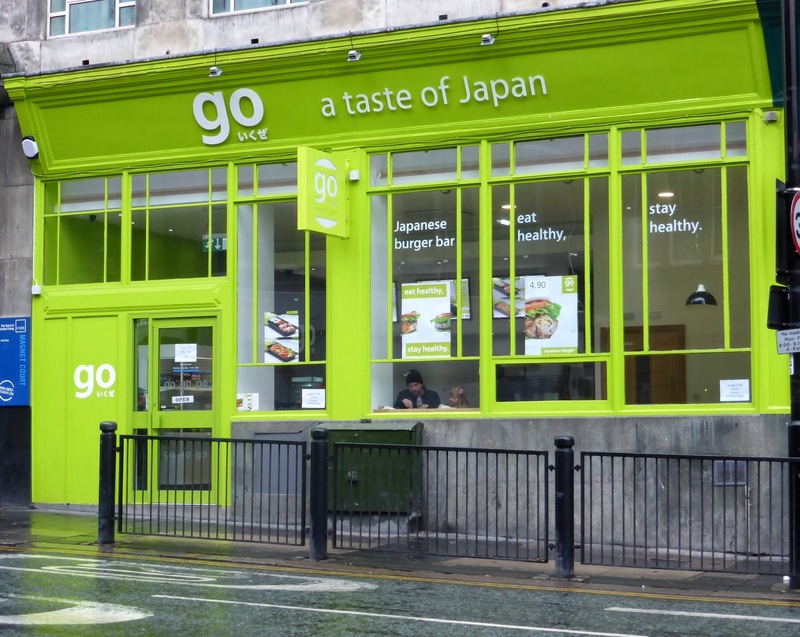 This is not the case with Go who offer a very tasty alternative Japanese burger. 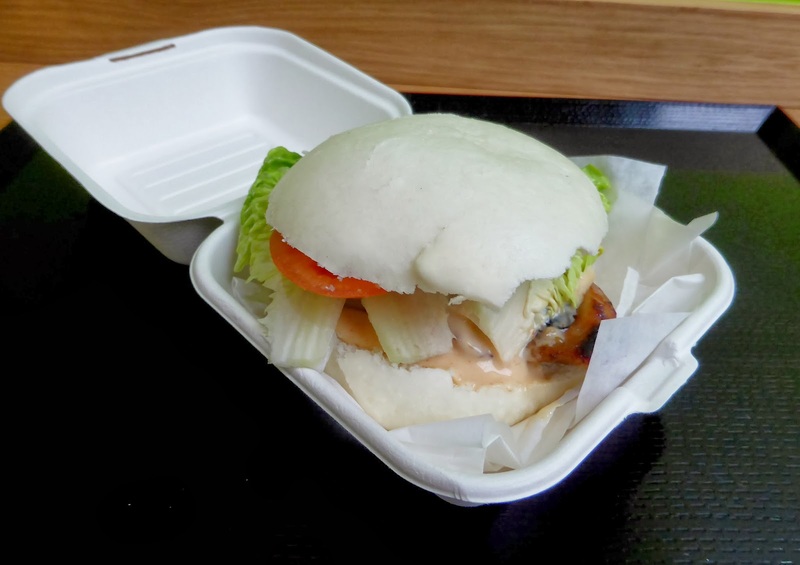 The first of its kind in the UK, they serve up burgers in steamed buns filled with lots of salad and tasty chunky fillings which are grilled rather than fried. I opted for the chicken teriyaki burger which was smothered in homemade Japanese mayonnaise, a deliciously smoky sauce. All of the ingredients are imported from Japan which makes for a truly authentic experience. I was also satisfied for the rest of the afternoon, my tummy was full and very happy. 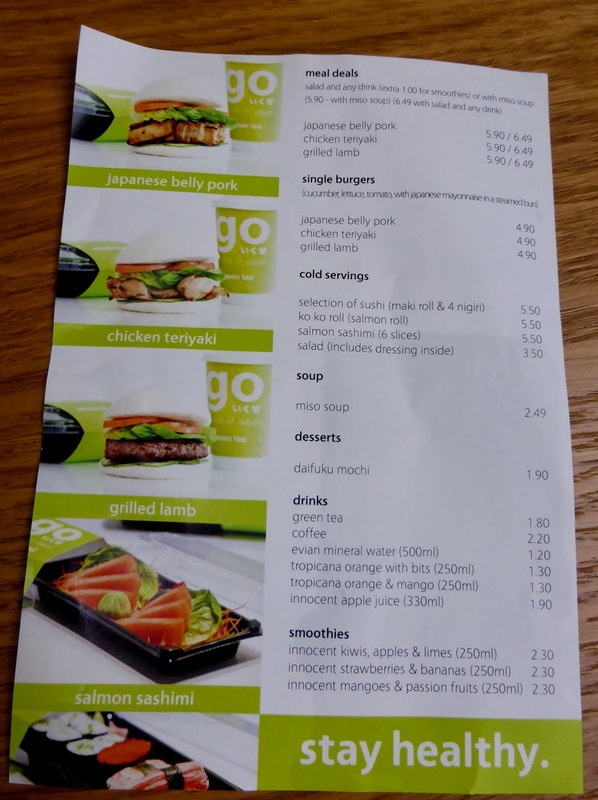 My burger cost £4.90 but the menu also offers meal deals with a choice of miso soup or salad and a drink for a small extra cost. In a perfect city centre location the restaurant lights up the street on a rainy day with it's lime green colour scheme. Inside it's bright and airy and the staff are all attentive. During my meal I was asked how my food was which I thought was really lovely and not something you'd ever get in other fast food restaurants.